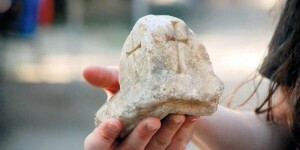 Faith on Friday: Relic of the Cross of Jesus Found? So What? A team of archeologists have unearthed what they believe to be a piece of the cross on which Christ was crucified. The story aired on The Today Show this morning (were I saw it) but there are many articles reporting the event, like this one at the Huff Post. 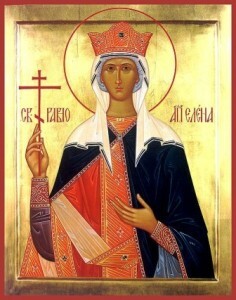 And although the article says it’s “legend,” Orthodox Christians believe that Empress Helen found the true cross of Christ as she went about building churches. Most Orthodox and Catholic Christians do place a high value on relics—bones of the saints, items of clothing that belonged to holy people, and of course any physical aspects of Christ’s life on earth. Why? Because we are both spiritual and physical beings. Since God honored the physical world by His incarnation—by coming in the flesh as Jesus—we also honor physical expressions of our faith. Like icons. And relics. In 2001 I was diagnosed with cervical cancer. I was afraid. Before I went into the hospital for surgery, I went to my priest for anointing with holy oil. It was a physical act that gave me courage and peace. A dear friend who has since joined Jesus in heaven loaned me something to take to the hospital with me. It was a tiny fragment of the cross of Christ. Usually these fragments are only found in churches (we have one at St. John Orthodox here in Memphis) but this woman had been given one many years ago and she kept it at home where she venerated it daily. It’s not magic. It’s not a security blanket or a child’s teddy bear. It’s the physical expression of something that really happened—a bold reminder of the ultimate expression of God’s love for mankind. This past week has been a difficult one for me. I had several emotional breakdowns, crying and coming close to depression. My husband’s loving presence and our evening prayers together help get me through. And suddenly yesterday things began to make a turn for the better. I’m sure I’ll have more meltdowns, but for now I’m pressing forward with faith. I’m holding on to any and all icons of God’s love that I can find. Especially those that have come in the form of physical, hands-on help from people who love me. And if the Church finds this archeological relic to be a piece of the true cross of Christ, I hope that it will be a blessing to all who hear of it, and to all who are able to venerate it one day. How do you feel about this discovery? Does it impact your faith in any way? I always love to hear from my readers, and I wish everyone a blessed weekend. Susan, thanks for sharing your thoughts so honestly – I imagine your ups and downs are pretty intense lately! I really appreciate the physical parts of our faith, but sometimes still struggle to wrap my mind around it. Its tempting to see these types of things either as just symbolic or to the other extreme of magic. I suppose this comes with practice. Praying things continue to improve (and quickly) for you. Your reservations are natural given your religious upbringing, Laura. So much of the non-Orthodox and non-Catholic world is suspicious of things like relics and icons, especially, I think, because of some of the abuses that happened during certain eras in the Catholic Church. It helps me to remember that the church(es) that existed for the first thousand years embraced these practices, and only “modern” Christians have abandoned them. Thanks for reading and commenting. We are recent in our belief and I’m excited and very curious about this new relic. I’m fascinated by Jesus’ life and i love all the investigation involved in either proving or disproving his existance as The Son of God. The book i’m working on has a relic from the cross as a major ‘character’. i love all the information you’ve given about your church. We go to a nondenominational church. Most of my family were Catholic so i grew up hearing and seeing all this cool stuff about holy water, statues, wafers, vestments, saints, rosary beads… the theatrics of the service held my interest even though i didn’t know what the priest was saying. it was in Latin at the time. anyway… i’m waiting to see how this relic plays out and i hope the controversy is slight. who knows? not us. Can’t wait to read your book! Thanks for reading and commenting, Susie.